NATO allies have recently differed on a number of security issues, primarily on ensuring stability in the Middle East. The Strategic Research Director of the SETA Foundation, Hasan Yalcin, said that Turkey had promoted democratic reforms in Arab countries only to eventually realize that democracy was not the main goal of the regime changes going on there. 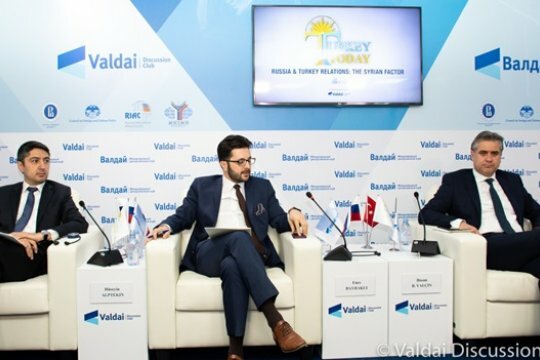 "The Western countries prefer unstable countries competing with each other, because this facilitates outside intervention,” Dr. Yalcin noted, adding that Ankara changed its foreign policy following the July 15, 2016 failed military coup. “When a country is over-dependent on another country, it will have problems in relations with its neighbors," the expert said. Fethullah Gulen, who the Turkish authorities believe masterminded the botched takeover, resides in the United States. Washington’s move to withdraw its troops from the Middle East also factored in Ankara’s decision to switch to a multi-vector foreign policy. “This didn’t bring stability, but it didn’t stop them interfering either,” Hasan Yalcin observed. Turkey’s patience finally ran out after the US started to provide direct assistance to the Kurdish Democratic Union Party, which Ankara considers a branch of the Kurdistan Workers' Party, designated as a terrorist organization. “There will be no stability in Syria as long as the Democratic Union is trying to snip off a chunk of our country’s territory,” Huseyin Alptekin, a researcher for the strategic research program, said. Turkey views the Democratic Union and the Kurdistan Workers' Party as the main threat to its national security. “Our allies simply fail to understand that Turkey is fighting for its survival now,” Hasan Yalcin noted. He added that in an effort to safeguard its airspace, Ankara had previously tried and failed to obtain S-400-like systems from the United States, other NATO countries, and also from China. Hasan Yalcin believes that it is easier to negotiate with Russia, including on the Syrian and Kurdish issues. “Initially, the Astana [talks on a peaceful settlement in Syria] was an addition to Geneva [negotiations], but it has since emerged as the main platform because Geneva is simply not working,” he added. 872: 30 seconds to mars. Turkey can no longer count on NATO alone10 April 2019: Turkey can no longer count on NATO alone! лучшие комедии. Turkey can no longer count on NATO alone.